Amidst all the changes that are taking place at SNU this fall, the one that will mostly likely affect the students directly is arrival of the new chaplain/campus pastor, Blaire Spindle. 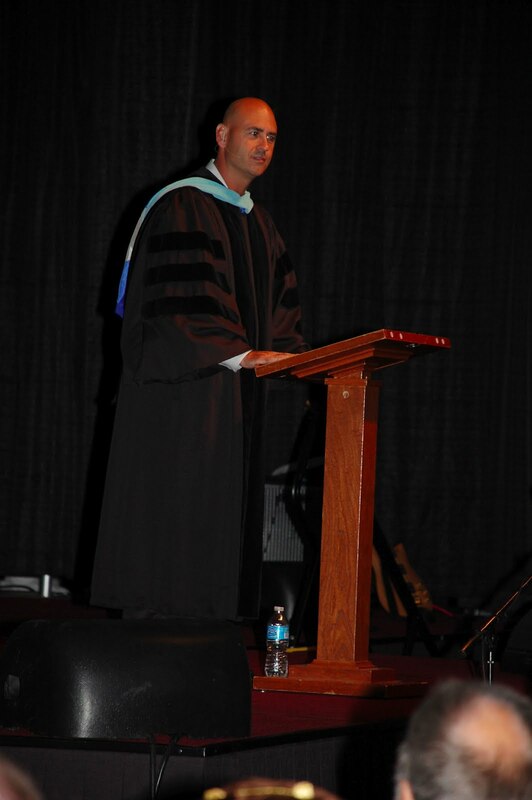 Former chaplain Brad Strawn left his position as SNU’s chaplain and took a position at the School of Psychology at Fuller Theological Seminary in California. His official title is the Evelyn and Frank Freed Professor of Integration of Psychology and Theology. For most students, the transition has seemed sudden; some may not even know the change had taken place. The final decision for Strawn to leave SNU did not take place until July. “This was in part because of the pace at which Fuller moved and then I was in a long process of prayer and discernment. There are so many things that go into a decision like this,” Strawn said. Although it is sad to see Strawn go, many students are very excited to hear that Spindle will be the new chaplain; even Strawn is excited for Spindle’s future at SNU. Dr. Gresham added that he was also looking for somebody who had a great track record with youth and young adults. He did not post the new position for a national search, but instead began by interviewing 10 or 12 candidates. Four had met the qualifications he was looking for. Gresham selected two candidates he thought were outstanding, and then involved the other members of his team in the interview process. In order to protect the candidates’ current jobs, the interviewers did not know who the candidates were ahead of time. Dr. Gresham has already received a lot of positive feedback that Spindle will be a great fit. The chaplain’s responsibilities will also change somewhat. The position will no longer be the Vice President of Spiritual Development but will focus more on the campus pastoral role. According to Gresham and Hubbert, this change should free up quite a bit of time for the campus pastor. –This article is part of a series covering changes in personnel during the summer of 2012. Read about Chris Peterson’s transition from Career Services and Student Employment to Human Resources.